Sometimes it boggles our minds and we can even get quite jealous. Now I think for the most part these people really did invest plenty of the time and energy and resources in passing this exam (which I personally did, and it paid off ) but I also believe that these people do have a good amount of test taking skills because for me personally I really did invest plenty of time, effort, energy and sacrifice in order to pass the NCLEX Exam the first time I took it about three years ago. Anyhow, I also believe that these people unconsciously were able to adapt to a certain strategic approach on learning that worked on their own specific learning styles. I did my own research on most of these test takers and found out that these people are more analytic in their review methods than I thought. You need to learn a deeper level way of studying that is complimentary to our learning style. When we just try to memorize words it’s what researchers have called the, “shallow level of processing,” basically you are just looking at the words and trying to memorize them without making any connections or understanding (in depth) by looking and analyzing the bigger picture. 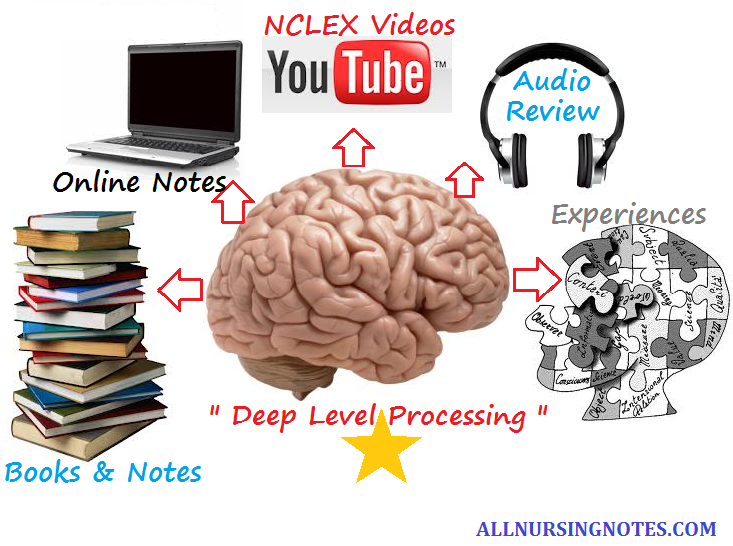 Instead, we need a more “deep level processing” way of reviewing the NCLEX. 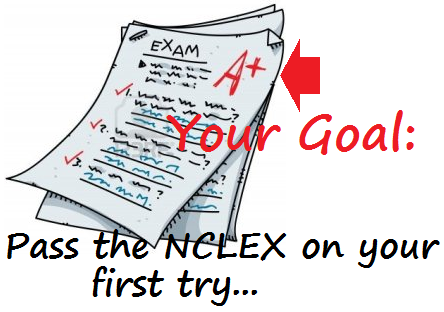 This can be accomplished by trying to connect it with our own experience and also understanding more in depth the NCLEX Review Contents. What can really enhance the deeper level processing way of reviewing for the NCLEX Exam is by allowing your brain to match your learning style whether you are an (auditory learner, visual learner or a tactile learner). So this includes looking at NCLEX Review Videos (HERE IS THE LINK), maybe even playing an AUDIO NCLEX Review CD in your car while driving (HERE IS THE LINK) or just trying to connect, what you are learning with your everyday experience. Attention and Interest is an important subject when studying for the NCLEX. Sometimes, reviewing for the NCLEX exam can just become too tedious and boring. There are plenty of times when we are reading unconsciously just word after word without actually retaining and understanding the content (which is counter productive). Therefore, there is no reason for our NCLEX Review not to be fun and interesting (while learning at the same time). We need to look at other ways such as media (audio and video) and websites to enhance our NCLEX Review. This is very helpful!! I liked it.May God bless you more &more. Hello… I would like more information about your program… help! !